In this post, we are going to learn how to effectively use Payoneer to get paid from 5 biggest online platforms such as Amazon, Airbnb, Fiverr, Up work and Google Adsense. The line of doing business internationally is blurred when we step into the new millennium. A new portal of making payment has since been flourishing and online money transfer is a service that people doing business internationally or in the e-commerce industry cannot go without. Being around for more than 10 years, Payoneer is one of the major players in this industry. It provides the users the convenience and flexibilities in receiving payments and making payments seamlessly between 200+ countries and 150 currencies 24/7 year-round. Gone were the day when we need to wait until working days to wire money. We will discuss how to receive payments from 5 platforms to Payoneer account, with the assumption that you have signed up for a Payoneer account. What is the info needed from Payoneer to get paid? Payoneer account acts as a virtual bank account to receive payment from different currencies USD(United states), EUR( European countries), GBP( United kingdom). You need details such as bank name, bank account number, beneficiary name etc to receive payment from global markets. Click on the “Receive” at the top left corner right under Payoneer logo, select “Global Payment service”. To receive payment from US companies, click USD at the left side of the screen, and your USD receiving bank account info will be displayed. To receive payments from United kingdom and European countries click GBP and EUR respectively. Note down the all the bank info. You will need to fill this bank information in the payment section page of the below websites. 1)How to use Payoneer to get paid from Amazon seller central ? The world’s largest internet-based retailer has an option to pay its individual sellers through Payoneer. Login to Amazon seller Central and click on “Settings” on the top right corner. Select Account Info. Look for “Payment Information” that is first on the list in the middle of the page. Click on “Deposit Methods”. It will direct you to another page. You will see “Deposit Method” near the bottom of the left-hand side. To its right, click “Add”. Look for “Bank Location Country” and select the country which you live. Back at the Amazon Seller Central Deposit Method page where you were before being redirect to Payoneer login page, select “the United States” from the drop-down list for “Bank Location Country” as your USD receiving bank account by Payoneer is located in the US. Fill up the rest of the info and click submit. You are all set. 2)How to use Payoneer get paid from Airbnb ? The world most preferred peer-to-peer homestay network provides travelers with options other than a hotel or hostel. It pays its homeowners through Payoneer too. Not all countries are in Airbnb Payoneer payout method. Login to your Airbnb account and click on “Payout Preferences” and click “Add Payout Method” button. Fill in the banking information. Bear in mind that Airbnb is paying in USD and hence the location of receiving back will be the United States. 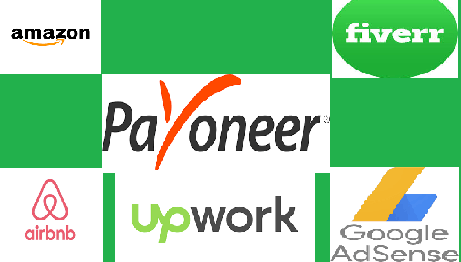 3)How to use Payoneer to get paid from Fiverr ? The world’s largest marketplace for digital services pays it freelancers through Payoneer, which is their Fiverr Revenue Card. If you have available funds, on the “Withdrawal” area, click “Bank Transfer”. You will be sent an email that carries the link to setup your Payoneer account. Click the link and at the right of the page, click “Click Here” to link the account to your Fiverr account. 4)How to use Payoneer to get paid from Up work? Formerly known as Elance, is a global freelancing platform. One of the methods it pays its freelancers is through Payoneer. Login to your account. At the top right corner of the page, click on your account name, select “Settings” from the drop-down menu. Select “Set up Payments” or “Add a Payment Method”. Click “Setup” button to the right of the Payoneer logo. Fill up the banking info. You are set. 5)How to use Payoneer to get paid from Google Adsense ? 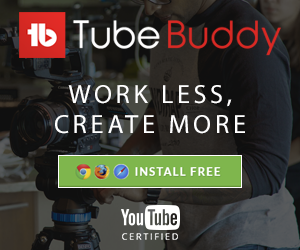 Advertising agency of Google which places an advertisement in websites, blogs, YouTubes etc and pay their Adsense publishers i.e. webmasters, bloggers and Youtubers participating. They also pay through Payoneer, just not to all countries. Login to Adsense account got to payment settings, choose “Bank”. Google will first send a small amount of money to verify your bank account. After it is verified, you will receive the rest of the payment. Payoneer charges reasonable for the transactions and for transactions between Payoneer users, it is free. Payoneer charges may vary by country. To know the exact fees for your country, send a request to Payoneer through this Payoneer contact page. For some countries like India, no charges will be applicable. After your payments are being received in Payoneer account, you can withdraw the money in your home country bank account which you link with Payoneer or if you deposit it into Payoneer Prepaid Mastercard, you can use it like a normal credit card. If you still don’t have Payoneer account, sign up for free with special link below and get $25 bonus when your account total transaction crossed $100. Normally, Payoneer takes, 2-3 business days to transfer overseas payment to your local bank account.